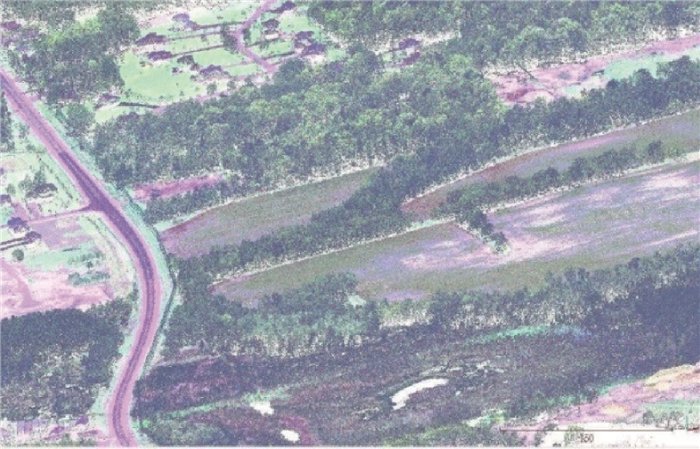 Abstract: Airborne multispectral LiDAR system, which obtains surface geometry and spectral data of objects, simultaneously, has become a fast effective, large-scale spatial data acquisition method.Multispectral LiDAR data are characteristics of completeness and consistency of spectrum and spatial geometric information.Support vector machine (SVM), a machine learning method, is capable of classifying objects based on small samples.Therefore, by means of SVM, this paper performs land cover classification using multispectral LiDAR data. First, all independent point cloud with different wavelengths are merged into a single point cloud, where each pixel contains the three-wavelength spectral information.Next, the merged point cloud is converted into range and intensity images.Finally, land-cover classification is performed by means of SVM.All experiments were conducted on the Optech Titan multispectral LiDAR data, containing three individual point cloud collected by 532 nm, 1024 nm, and 1550 nm laser beams.Experimental results demonstrate that ①compared to traditional single-wavelength LiDAR data, multispectral LiDAR data provide a promising solution to land use and land cover applications; ②SVM is a feasible method for land cover classification of multispectral LiDAR data. 张继贤, 林祥国, 梁欣廉. 点云信息提取研究进展和展望[J]. 测绘学报, 2017, 46(10): 1460–1469. 高广, 马洪超, 张良, 等. 顾及地形断裂线的LiDAR点云滤波方法研究[J]. 武汉大学学报(信息科学版), 2015, 40(4): 474–478. GAO Guang, MA Hongchao, ZHANG Liang, et al. A Ground Filtering Algorithm for Airborne LiDAR in Consideration of Terrain Break Lines[J]. Geomatics and Information Science of Wuhan University, 2015, 40(4): 474–478. 张齐勇, 岑敏仪, 周国清, 等. 城区LiDAR点云数据的树木提取[J]. 测绘学报, 2009, 38(4): 330–335. AZADBAKHT M, FRASER C S, KHOSHELHAM K. Improved Urban Scene Classification Using Full-Waveform LiDAR[J]. Photogrammetric Engineering & Remote Sensing, 2016, 82(12): 973–980. 李振玉. 基于激光雷达波形和点云数据的建筑物与树木的分类[J]. 黑龙江科技信息, 2015(29): 24. 吴杭彬. 融合航空影像的机载激光扫描数据分类与特征提取[J]. 测绘学报, 2011, 40(1): 134. WU Hangbin. Classification and Feature Extraction of Airborne LiDAR Data Fused with Aerial Image[J]. Acta Geodaetica et Cartographica Sinica, 2011, 40(1): 134. 刘丽娟, 庞勇, 范文义, 等. 机载LiDAR和高光谱融合实现温带天然林树种识别[J]. 遥感学报, 2013, 17(3): 679–695. LIU Lijuan, PANG Yong, FANG Wenyi, et al. Fused Airborne LiDAR and Hyperspectral Data for Tree Species Identification in A Natural Temperate Forest[J]. 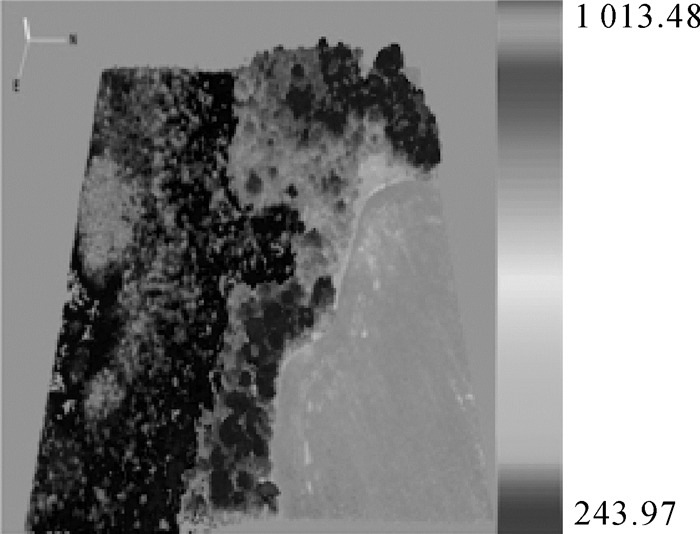 Journal of Remote Sensing, 2013, 17(3): 679–695. 高利鹏, 史文中, 吕志勇, 等. 基于机载LiDAR和高分辨率遥感影像的城市道路网提取[J]. 遥感技术与应用, 2013, 28(4): 562–568. 许传阳, 李建红. 高分辨率遥感影像结合LiDAR数据的面向对象分类方法[J]. 河南理工大学学报(自然科学版), 2015, 34(2): 222–225. XU Chuanyang, LI Jianhong. Object-oriented Classification with High Resolution Image and LiDAR Data[J]. 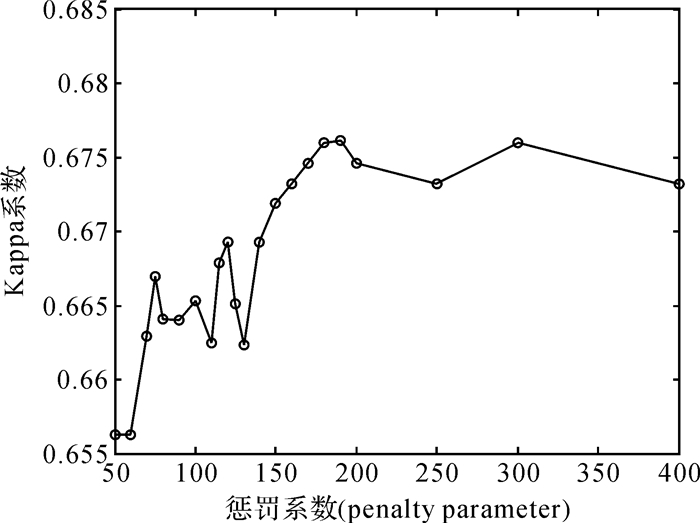 Journal of Henan Polytechnic University (Natural Science), 2015, 34(2): 222–225. WANG Chengkai, TSENG Y H, CHU H J. Airborne Dual-wavelength LiDAR Data for Classifying Land Cover[J]. 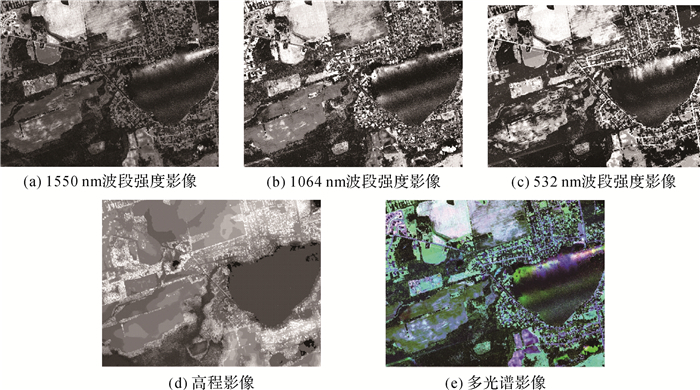 Remote Sensing, 2014, 6(1): 700–715. WALLACE A, NICHOL C, WOODHOUSE I. 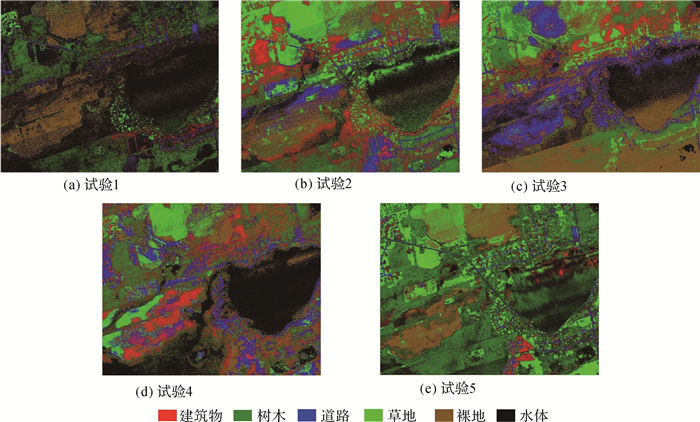 Recovery of Forest Canopy Parameters by Inversion of Multispectral LiDAR Data[J]. 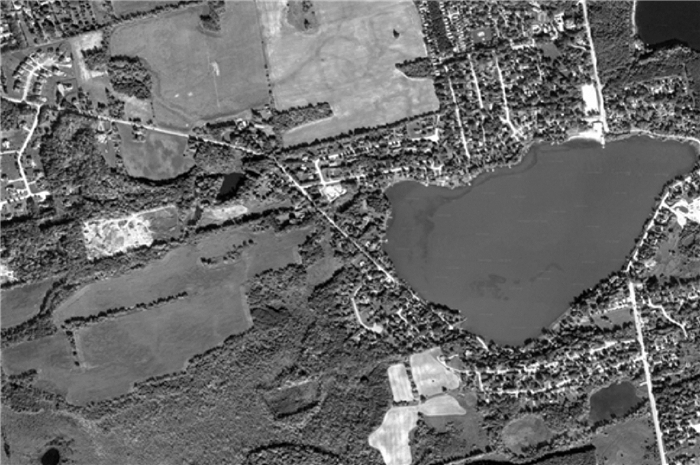 Remote Sensing, 2012, 4(2): 509–531. GONG Wei, SUN Jia, SHI Shuo, et al. Investigating the Potential of Using the Spatial and Spectral Information of Multispectral LiDAR for Object Classification[J]. Sensors, 2015, 15(9): 21989–22002. 李新, 程国栋, 卢玲. 空间内插方法比较[J]. 地球科学进展, 2000, 15(3): 260–265. LI Xin, CHENG Guodong, LU Ling. Comparison of Spatial Interpolation Methods[J]. Advance in Earth Sciences, 2000, 15(3): 260–265. 郑红军, 周旭, 毕笃彦. 统计学习理论及支持向量机概述[J]. 现代电子技术, 2003(4): 59–61. ZHENG Hongjun, ZHOU Xu, BI Duyan. Introduction Statistical Learning Theory and Support Vector Machines[J]. Modern Electronic Technique, 2003(4): 59–61. 施健, 柳钦火, 闻建光, 等. 面向电子政务的全国典型地物波谱数据服务平台设计与实现[J]. 遥感技术与应用, 2011, 26(4): 520–526. SRIPADA R P, HEINIGER R W, WHITE J G, et al. 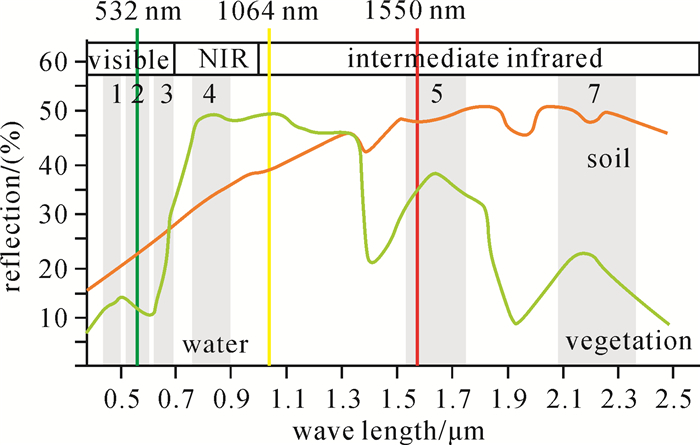 Aerial Color Infrared Photography for Determining Early In-Season Nitrogen Requirements in Corn[J]. Agronomy Journal, 2005, 98(4): 968–977. 杨凯歌, 冯学智, 肖鹏峰, 等. 优化子空间SVM集成的高光谱图像分类[J]. 遥感学报, 2016, 20(3): 409–419. YANG Kaige, FENG Xuezhi, XIAO Pengfeng, et al. Optimal Subspace Ensemble with SVM for Hyperspectral Image Classification[J]. Journal of Remote Sensing, 2016, 20(3): 409–419. 李清泉, 李必军, 陈静. 激光雷达测量技术及其应用研究[J]. 武汉测绘科技大学学报, 2000, 25(5): 387–392. LI Qingquan, LI Bijun, CHEN Jing. Research on Laser Range Scanning and Its Application[J]. 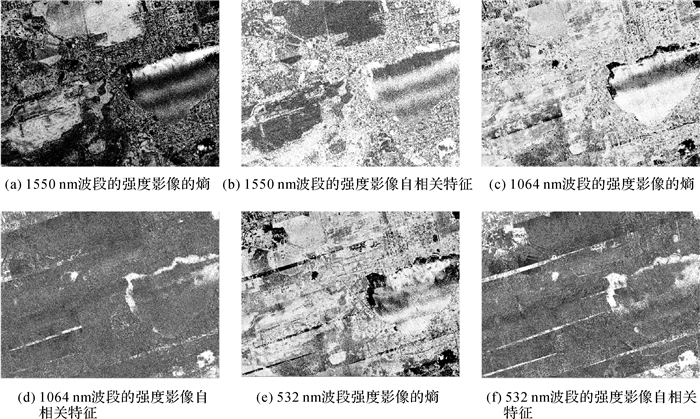 Journal of Wuhan Technical University of Surveying and Mapping, 2000, 25(5): 387–392.